I started adding courses to my list in earnest back in 1997, the year after I graduating from college. The first list I ever constructed has 42 courses on it...and it’s pretty comical to see where some of those courses rank 10 years later. Fueled by friendly competition with my golf nemesis Jefe, I took it to another level in 1997, playing 100 rounds and adding as many new courses as possible. Originally, Jefe had a few more courses than I, but when he went on his honeymoon, I played a different course each day to finally pass him, thinking it was for good. I had a pretty sizable margin on him when he decided to take it to the next level...by moving to Pittsburgh. He ‘claims’ it was for a new job, but to this day I still believe the motivating factor was to enter an unchartered territory of new course potential. How do I know this? You have to understand that I am a die-hard Pittsburgh Pirates fan (although now it’s hard to admit in public). Back when they were actually good, I used to follow them religiously. By definition, the Pirates were Jefe’s most hated team. He hated everything about them...there’s no way he would ever consider moving to the city associated with them. It would just evoke to many bad memories of me spouting off my mouth about Bobby Bonilla, Barry Bonds, and the Bucs. The fact that he actually did definitely was a low blow, but I have to admit a very shrewd maneuver. At least I got to go to some games at PNC Park. Well done, Jefe. You are a worthy adversary. It took Jefe about three years to play just about everywhere worth playing in the P-Town era, so with no other reason to stay (I know he felt dirty just being there), he decided to move back. Great for me since I have my by-default golf partner back, but also because he’s back on his home turf where he can’t do much damage. But then the dude takes it to the next level again...before moving back for good he decides to go on a three-month, cross country road trip, playing 70+ rounds and knocking off most of the heavy hitters like Pebble Beach, Bandon Dunes, etc. How could I possibly compete with that? This guy is a mastermind. Upon completion of the trip, he’s 30 years old and right around the 300-course mark (he’s at 308 now). There are so few gaping holes on his list, that if he had been hit by a bus the next day, you couldn’t help but think the guy had lived a full life (Note: you can see out updated rankings here). Back when we started on this mission to play every quality golf course on the planet, the only things we had to go on were the Golf Digest and Golf Magazine rankings and Golf Digest’s Places to Play, aka the bible. This is before the days of mass internet access and the broad dissemination of information. Before the days when every course had a website with course layouts and virtual tours. The Places to Play book was it...the source. Back in the day, a 4.5 or 5.0 star rating in the Places to Play meant something. Those were the best of the best. You knew you were getting something special, Even a 4.0 star rating course meant something...you were probably getting one of the top 10 or 15 courses in the state. 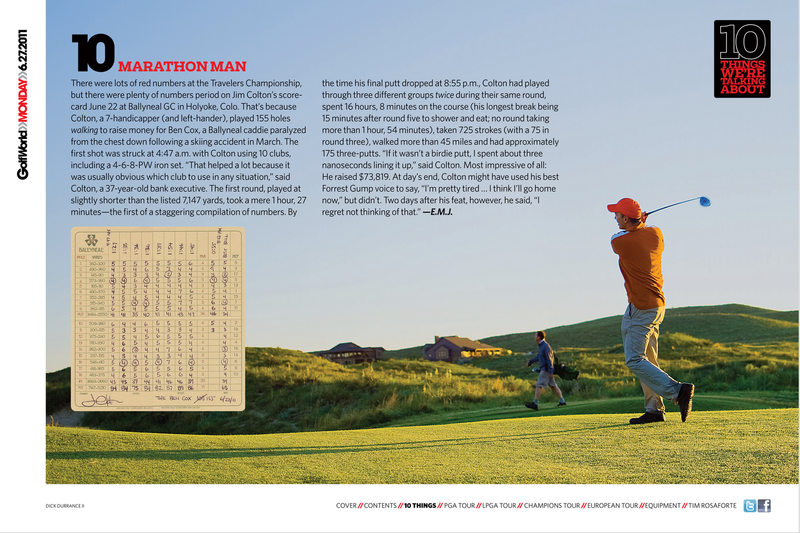 Golf Digest issues a new volume of PTP every two years and with the rise of the Internet, each edition since 1997 has gotten more watered-down and less and less relevant. There were tell tales signs along the way. Ballot stuffing was clearly an issue when a course in Michigan called Timberstone (there’s a reason you probably haven’t heard of it) got a 5-star ranking. Pebble Beach, Blackwolf Run, Pinehurst No. 2, and ...Timberstone??? Sounds fishy doesn’t it? (Note: I once played a round in Michigan with a couple that knew the owner and they confirmed that the ballot stuffing was true) Also, somewhere along the way, Golf Digest decided let Zagat put together the book, which had the effect of further watering down the user comments section, which had previously been very insightful. Then to top it off, for a stretch Golf Digest completely abandoned their ranking of the Top 100 public courses and switched to solely use (and plug) their 5-star rating system. Given the difficulty in trying to compare courses with different styles, topographies, geographies, prices, etc, I can understand the move away from the rankings, even though I would classify the move equal parts cop out and shameless plug. However, if you move to just using the star-rating system, each one of those stars better mean something. In reality the stars don’t really amount to much. 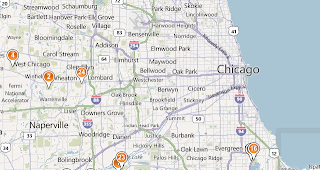 In the 2005-06 publication, there were TWENTY-ONE 4.5-star rated courses and FIFTY-SIX 4.0-star rated courses in Illinois. That’s 77 courses in the state of Illinois that the folks at the Zagat Institute believe are worth playing. I know Chicago is a hot bed of quality public golf courses, but I can tell you first hand that there aren’t 77 public courses in Illinois worth spending your hard-earned money on. Either Jefe or I have played most of the courses ranked 4 stars and above and we’ve played enough golf to know the difference between quality golf and not-so-quality golf. So here’s a comparison between those Golf Digest’s 5-star ranking and our combined ranking on a 10-point scale. 4.5 stars should equate to roughly a 9.0 on the 10-point scale, but you can tell right away that the list is watered-down. They got Dubsdread, The General and Deere Run right (although you might consider Dubs a 5-star, which it has been in the past), but the average 10-pt ranking of the courses on this list that we’ve played is 7.2. Of the ones that we haven’t played, I haven’t heard anything that would lead me to believe that any of them should be rated 9.0 or above (and according to Jefe’s brother, Bolingbrook is probably no better than a 7.0). The biggest travesties on this list are George Dunne, Oak Grove and Shepherd’s Crook, which are nice courses but would be stretches even if they were 4.0 stars. So, a 4-star rating should equate to about a 8.0 rating on the 10-pt scale, right? Well, the average rating for the courses on this list that we’ve played is a paltry 4.7. Clearly, courses like Eagle Ridge, Prairie Landing, Orchard Valley and Heritage Bluffs are more deserving of a higher ranking than some of those courses on the 4.5-star list. These are universally considered some of the better public courses in the area. What is a bigger travesty is the fact these courses have the same ranking as courses like Randall Oaks (#251 out of 265 courses that I’ve played), Aldeen (#205), and Cog Hill #1 & #3 (#204 and #210 respectively). I add this post not to bash some of these low-ranked golf courses, but solely as a service to golfer’s who may be visiting Chicago for the first time. 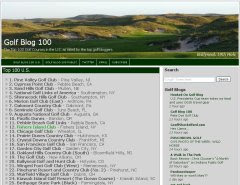 An outsider may do the search on golfdigest.com, read the summaries of 4-star Randall Oaks and 4-star Orchard Valley and end up picking Randall instead of Orchard. And maybe they come away sorely disappointed with the course and conclude that golf in Chicago ain’t all it’s cracked up to be. How can I sit here in good conscience and let this happen? If somebody’s coming to the Windy City for the first time, why not show them the best golf that this great city has to offer. 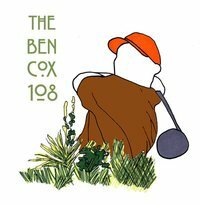 So with that said, I’m going to combine forces with Jefe in the near future to post the Definitive Guide to Chicago Area Public Golf Courses. No agenda. No politics. Just a ranking of the top courses in the area. It’s just our way of giving back. Stay tuned. I dug up this old footage of Jefe making an eagle at Eagle Ridge resort way back in September 2000. We have 33 lifetime eagles between the two of us, including 2 hole in ones, but this is the only one caught on tape. Enjoy! Jefe, celebrating this eagle before it drops is remeniscent to Larry Legend walking off as 3 point champ before his last money ball swishes from the corner. Congrats to Jefe on an eagle caught on camera.